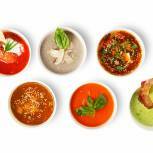 Meatballs are infinitely versatile; they can be filled with lots of vegetables (think chopped carrots and celery) and they can be dressed in different sauces. They can be made with ground chicken, turkey, beef, lamb, or veal (or even a combination). I hope these six meatball variations inspire you in the kitchen to reinvent this dinner staple. My basic recipe yields 35 1-inch balls. Mix up a batch of my Basic Meatballs, and then continue cooking here. In a sauté pan, heat oil and sauté onion. To prepare meatballs, mix together water and soy sauce. In a baking dish, spread out sautéed onions and place meatballs on top. Add sauce. Bake uncovered for 15 minutes, turn meatballs, and cook for another 10 minutes. Toss zucchini spears in olive oil, salt, and pepper. 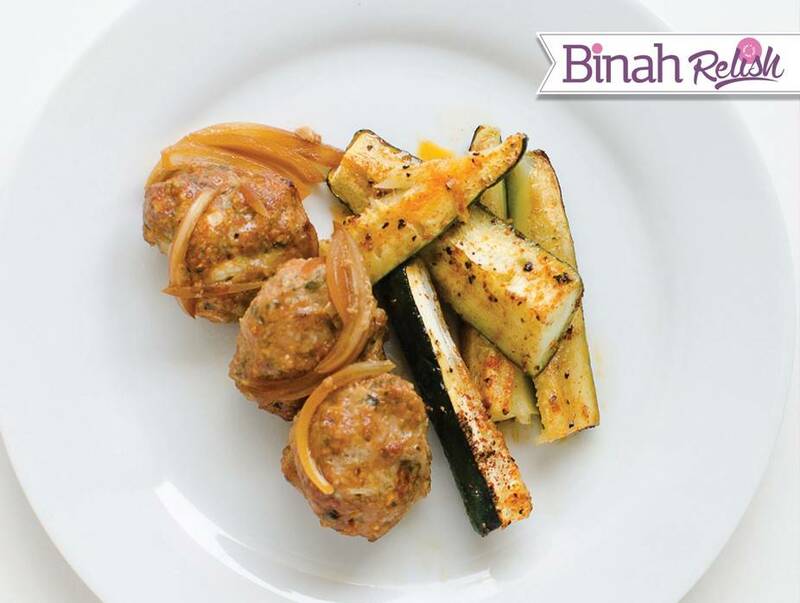 Place on a baking sheet and bake zucchini alongside meatballs until fully cooked, about 30 minutes. Serve the zucchini spears alongside the meatballs.